Hello, my name is Sonia Wee! 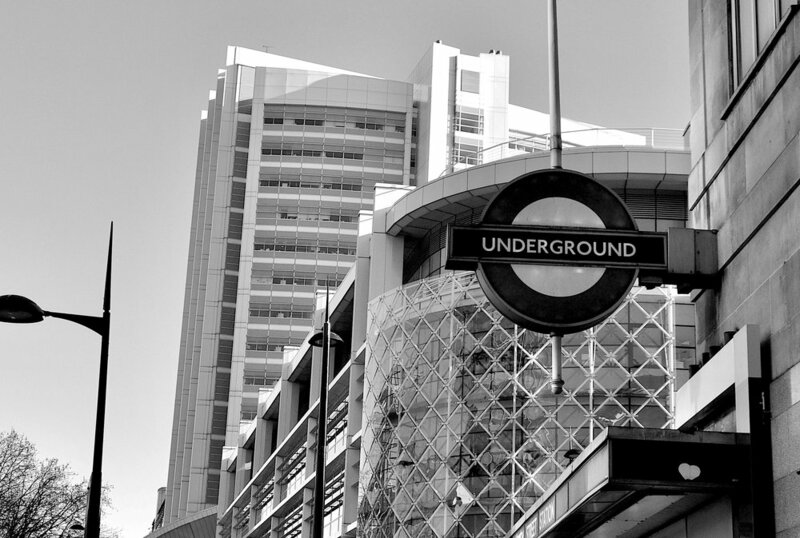 I’m a junior from Singapore, and this semester, I’m studying abroad in London, home to the renowned Tube. My life would be utterly different if it were not for the existence of the Tube and in general, reliable tricks to getting around in some of the world’s biggest and busiest cities. My motto is: ditch the car, use public transport — especially if you’re in an area that has one. It is safer, cost efficient, and more environmentally friendly. Open to all, public transport allows you to get to places without a car or friends and family who drive a car. I grew up with the planted notion that I would be crowned independent the day I ride public transportation alone. I have been taking the public bus to school since I was four. First with my grandmother in preschool, then on my own some subsequent years down the road. My generation and some of those preceding were the intermediate batch who got to witness firsthand the way public buses evolve from grumpy old vehicles with no air conditioning to a modern development that allays commuters complaints of the heat in Singapore. Public transport reminds me of home. Its personal significance led me to jump on a study abroad opportunity to come to London. A huge part of my decision was influenced by my prior knowledge of the reputable Tube London Underground train system and also my lack of knowledge about public transportation in other places on the list. If you’ve ever found yourself curious, or think you might be influenced to spend a semester in a country because of the ease of transport, the information below outlines the basics of transportation in the major SU abroad programs. You think you’ve hit rush hour from the countless number of sweaty bodies pressed up against you on the Tube. But it truly isn’t rush hour unless you find yourself powerless and unable to shove your way onto the first, second or even third train. Nonetheless, London’s bus and train system is extremely user-friendly and easy to navigate. The city is divided into six zones, but you’ll rarely find the need to leave zones 1 and 2, which is the core city center. Trains come as frequently as every 3 - 5 minutes, though the wait might be slightly longer for buses. With an Oyster card, each journey should cost £3 ($3.94) in zones 1 and 2, but your daily spending is capped at £7 ($9.15). For buses, a single journey regardless of zone would cost £1.50 (about $2). While buses run 24 hours, most trains operate from 5 a.m. to midnight. Black cab and Uber services dominate the city, providing extra means of transport if you aren’t up for traveling by bus or train. Ranked by CNN as the best metro system in the world, Hong Kong’s MTR (Mass Transit Railway) connects Hong Kong Island, Kowloon, Lantau Island and the New territories. With a refillable and refundable Octopus card, a standard journey costs HK $10.50 ($1.34). The system is very reliable and trains arrive within intervals as short as 1 - 2 minutes on average, between 5:30 a.m and midnight. Plus, there is free WiFi in every station. Buses and minibuses cover almost all of Hong Kong, though fares may vary as services operate under different companies. In addition, local cabs and Ubers are available if you’re in a hurry—except traffic can be a giant pain. Your other options include travelling by ferry or tram. In other words, you really shouldn’t have any problems getting around in Hong Kong. There are four forms of public transportation in Beijing — subway, buses, taxis and rickshaws. According to LonelyPlanet, the 22 subway lines spanning the city center are “modern, safe, cheap, and easy to use.” Fares range between ¥3 ($0.4) to ¥8 ($1.1) depending on how far you travel. Trains come frequently and operate between 5 a.m.- 11 p.m. Similarly, buses are frequent and fares vary according to distance. Taxis in Beijing are relatively cheap in comparison to the US and are charged by the meter. Unlike taxis, rickshaws are three-wheeled wagons like transportation devices, attached to bicycles or motorbikes. They tend to be tourist traps and therefore highly overpriced. Moreover, since rickshaws depend on literal manpower, most don’t tend to travel over extra-long distances. Home to the sixth longest metro station in the world, Madrid and its downtown and residential areas are manned by a fast and efficient transportation system. With a rechargeable card (Tarjeta Multi), each trip should cost only €1.50 - €2.00 ($1.7 - $2.2). Trains arrive frequently between 6 a.m. and 1:30 a.m., while the bus service extends throughout the night, running every 15 - 30 minutes. Like most other European cities, pickpockets tend to target train stations, so keep an eye out for your belongings. In addition, taxis are relatively cheap and charged by the meter. In recent news, taxi strikes are intensifying against ride hailing apps, which might be an interesting topic to keep an eye out for. Getting around in Strasbourg is relatively easy. The city’s tram system is the largest in France, with six lines (A - F), and 30 urban bus routes. The tram runs every six minutes and operates between 4:10 a.m. and 12:30 a.m. A single ticket valid on both trams and buses costs €1.70 ($1.9). Plus, there are night buses that run through nightlife hotspots and operate between 11:30 p.m. and 5:30 a.m. on Fridays and Saturdays. The most popular form of public transport for visitors is the city bus. A valid standard ticket (€1.50) would take you anywhere en route within 90 minutes of purchase. Yet fellow travelers from Tripadvisor remain frustrated at the frequency of diverted routes, meaning that your trip might take longer than expected. Buses depart every 30 minutes between 9:00 a.m. and 7:30 p.m., and every hour between 7:30 p.m. and 11 p.m. There is also a single electric tram line (€1.50) that runs through the city center. The tram is fast and reliable, and operates between 5:30 a.m. and 12 a.m. Taxis are available through booking. In Santiago, the metro seems to be the fastest means of transportation. It typically operates between 5:40 a.m. and 11 p.m. on weekdays (hours are slightly different on weekends,) and fares vary according to the time of day. For instance, tickets cost 660 Chilean pesos ($1) during peak hours and 610 (90¢) during low time. Buses, known as Micros, can take a while to get used to, but this skill may come in handy as buses would take you to places the metro doesn’t cover. While white and green buses take you across zones, single colored buses travel within a single zone. Unlike the metro, buses have flat rates. Both forms of transportation can be paid with a Bip card. When using taxis, remember to ask for a proof of payment so you don’t get ripped off. As taxis in Santiago operate on different rates, remember to negotiate with the drivers rate before boarding. If all else fails, there is always Uber! Our “Postcards” series features stories from Syracuse University students exploring other parts of the world. Sonia Wee is a junior studying television, radio and film at Syracuse University. This semester, she is studying in London, England — keep an eye out for a Postcard flying from across the pond every month!